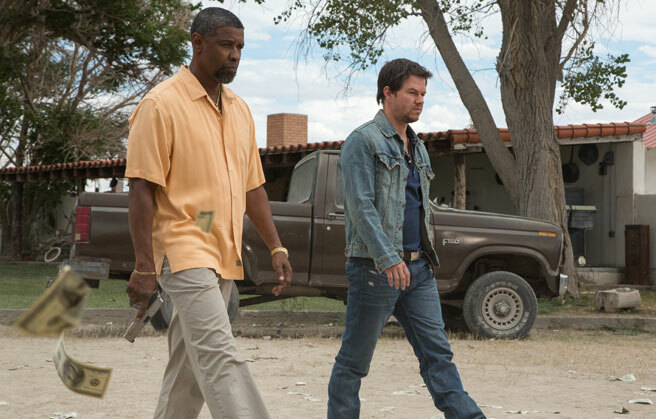 Universal’s 2 Guns follows a DEA agent and an undercover Naval Intelligence officer (Mark Wahlberg and Denzel Washington) who have been tasked with investigating one another but find they have been set up by the mob — the very organization the two men believe they have been stealing money from. Baltasar Kormákur (Contraband) is directing the film from a script by “Law & Order: LA” writer Blake Masters based on Steven Grant’s graphic novel of the same name. The film also features Paula Patton, James Marsden, Edward James Olmos and Bill Paxton and is slated to hit theaters this summer starting August 2nd.